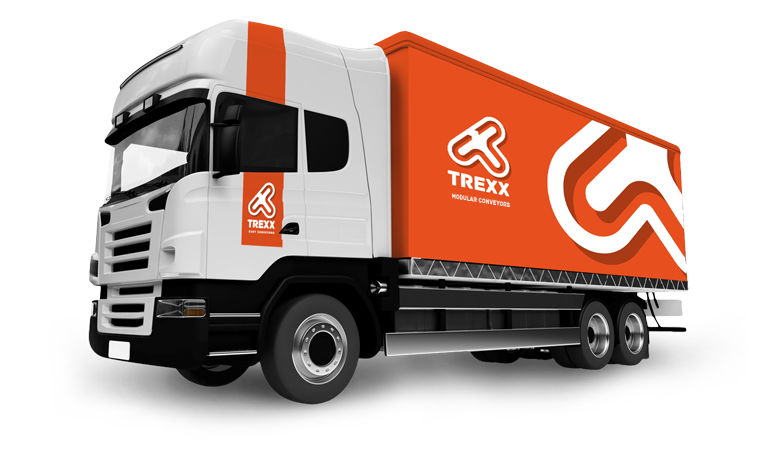 Trexx is a completely new conveying concept based on a modular building principle. 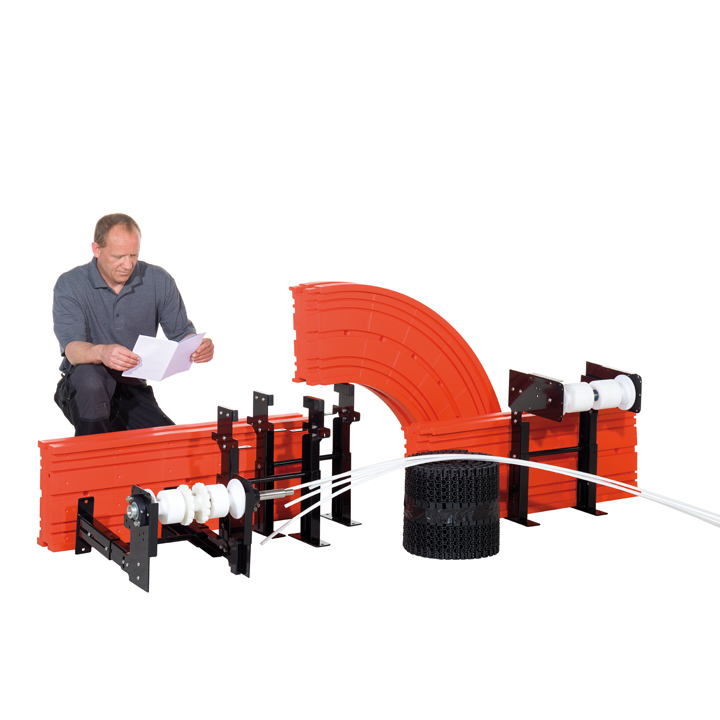 With the modules and compatible components you can build any conveyor track you want. The simple and easy-to-mount framework modules are available in straight and curved versions. 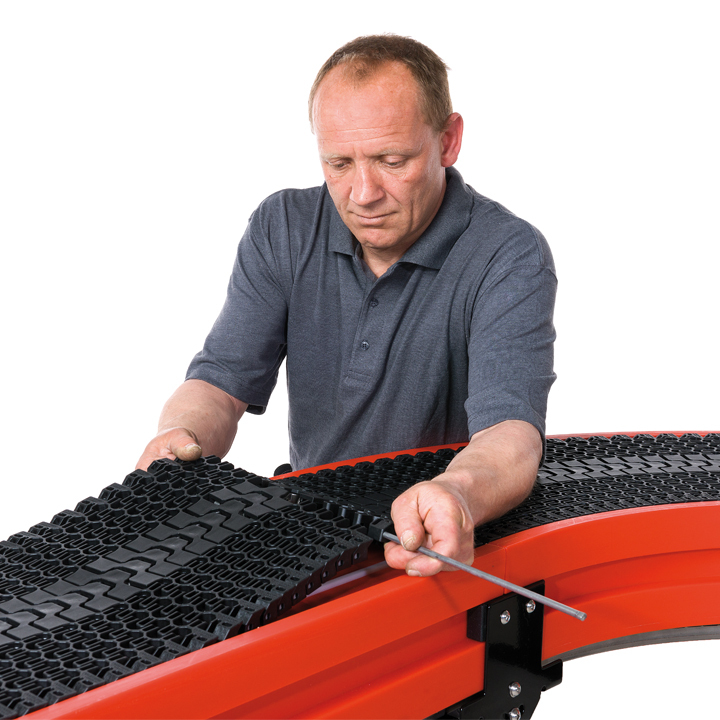 With these two types of modules you can easily build your own conveyor. 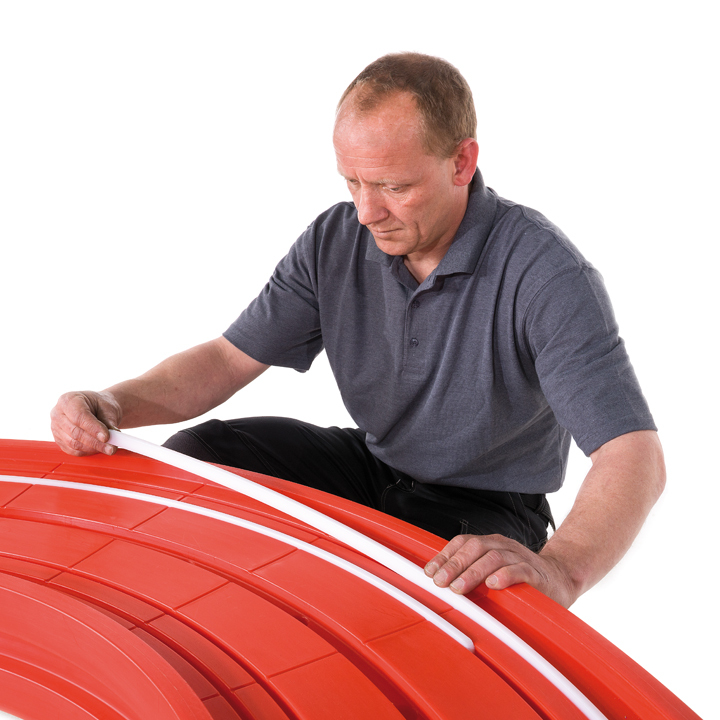 The plastic modules can be customized by simply sawing them to the lengths you require. 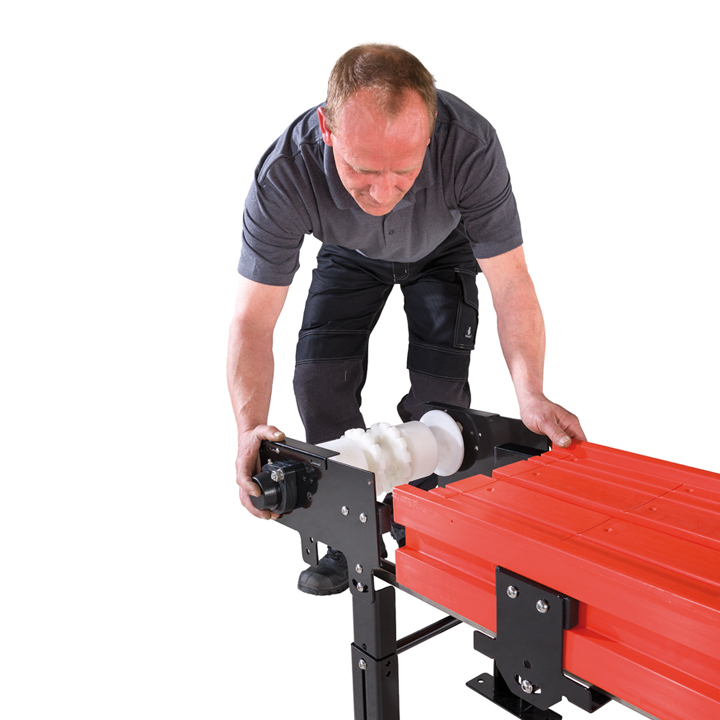 The components are compatible and can be used and re-used in any conveyor layout you want. Do you need a temporary transport system? 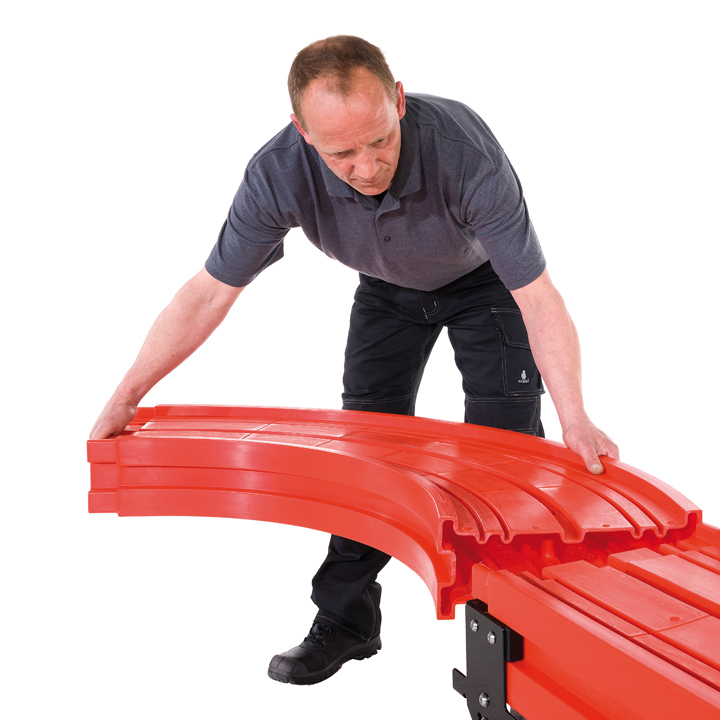 A flexible Trexx Conveyor provides the solution. 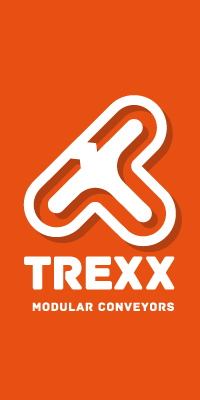 You can even lease a Trexx Conveyor for just 1 day. Why pay for a whole year if you only need it for a short period? 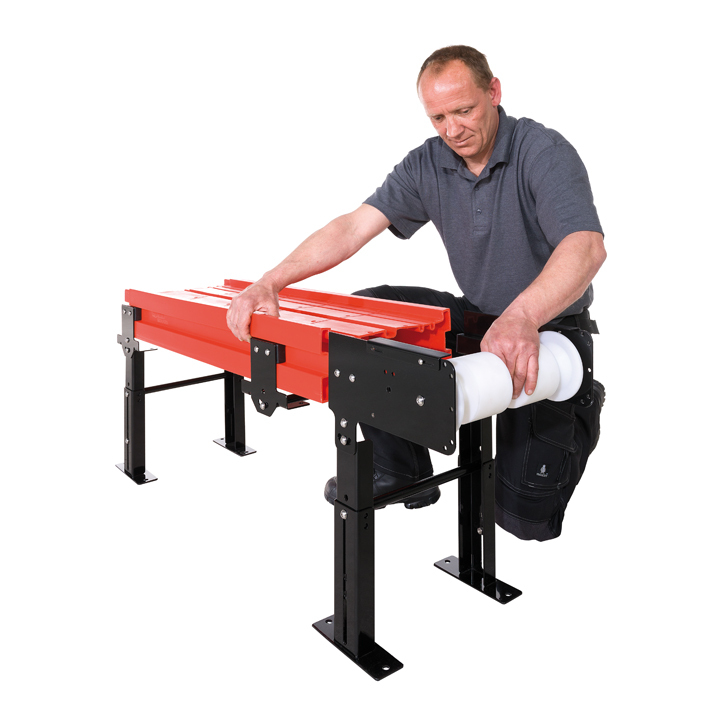 And of course you can configure your Trexx Conveyor so that it fits your needs. One of our technicians will be happy to install it for you. 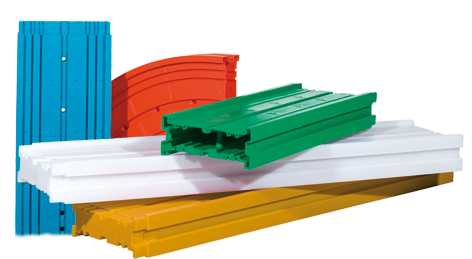 Trexx modules are made of polyethylene. The standard colour is orange. A customized colour, for instance your brand colour, is optional. 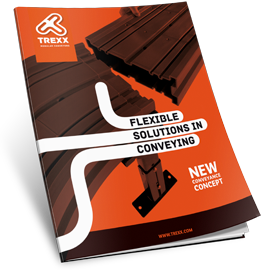 With the optional Trexx applications you make the conveyor to fit your specific needs.